Just a few days ago, we reported about Vivo launching the new Vivo V15 Pro in India on Feb 20 featuring a pop-up camera similar to Vivo Nex. 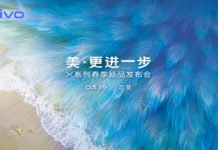 Even though we are still more than two weeks away from the official launch, the hardware specifications of Vivo V15 Pro along with posters have surfaced revealing the key details about the upcoming smartphone. The teasers or posted that have surfaced confirm the pop-up camera for both the Vivo V15 and Vivo V15 Pro smartphone. They also indicate a triple camera module with dual-tone LED flash on the rear panel for both devices and a high screen to body ratio display without any notch. The poster also confirms the 32MP selfie camera for both the smartphones. Another leak that has surfaced, confirms the basic hardware specifications of Vivo V15 Pro smartphones. As per the leak, it comes with an In-display fingerprint sensor with super AMOLED display and is powered by Qualcomm Snapdragon 675 processor. If true, it will be one of the first smartphones with Snapdragon 675 SOC chip. It comes with 6GB of RAM and 128GB internal storage. In terms of hardware, it features a 48MP primary camera sensor that will be capturing images in 12MP resolution originally but will make use of the pixel binning technology to capture 48MP snaps. This indicates the use of Samsung’s GM1 sensor that we have seen in Xiaomi Redmi Note 7. In addition to the primary shooter, it features by two additional camera sensors of 8MP & 5MP at the rear. On the front, there is a 32MP selfie snapper in the form of a pop-up camera. 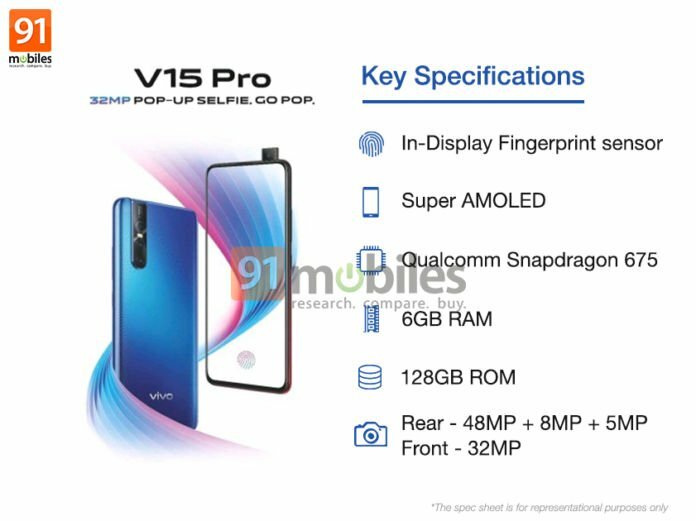 Vivo V15 Pro Price in India? 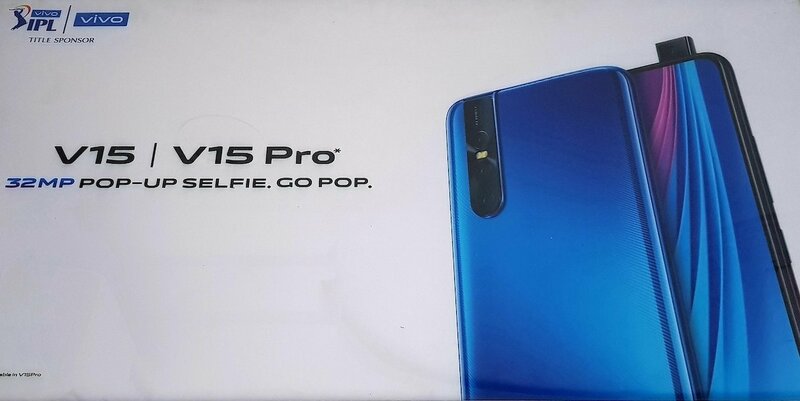 At the moment, we expect that Vivo may skip the standard Vivo V15 launch in India and will only launch the V15 Pro on February 20. Rumours indicate that the Pro variant may be priced around Rs. 25,000 in India. Stay tuned at Androidpure and we will keep you updated.